New NAACP President Derrick Johnson will address the future of the NAACP at a National Press Club Headliners Luncheon on Tuesday, Aug. 29. 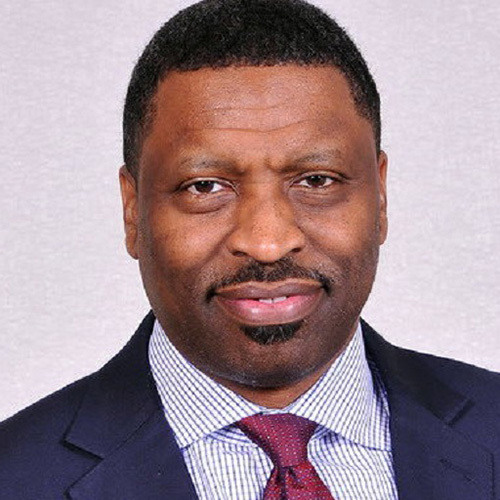 Johnson, a longstanding leader of the NAACP, assumed the interim presidency in July and is tasked with leading the organization through a period of "re-envisioning and reinvigoration," the organization said in its announcement of Johnson's new post. The NAACP recently drew national attention when it issued a travel advisory for Missouri, calling for African American travelers to "exercise extreme caution when traveling through the state given the series of questionable, race-based incidents occuring statewide." Johnson, a Mississippi native, is a veteran activist who has served as state president of the NAACP Mississippi State Conference. After Hurricane Katrina, Johnson founded One Voice Inc. to promote civic engagement among African Americans.